When I saw the “over a million copies sold” branded on the front cover, I figured this would be a shallow, health and wealth guide to getting rich in God’s name. I was pleasantly mistaken. It’s not a sophisticated work, but I can see why it’s selling. It’s a thoughtful and energetic attempt to reframe the way most American Christians see their money and belongings. It’s goal is to help us to let go a bit and give a bit more, and I think it’s succeeding. The great part of Alcorn’s work is that he walks us through his own experiences, both of giving and of losing money without meaning to. 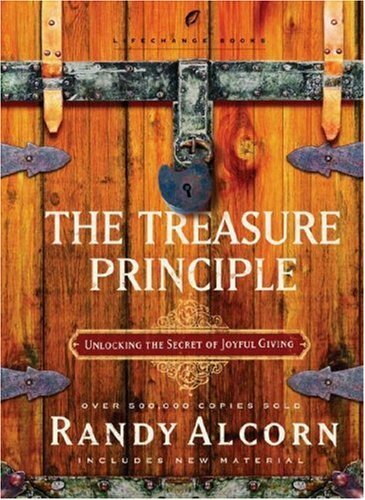 His fascinating personal story includes moments at which he could have lost everything and the successful course he charted into becoming a radical giver. I’m going to guess that the primary customers of this book have been pastors and non-profit managers (who, if they’re wise, have given out this book by the boxful). But the reality is that any Christian who knows that they aren’t particularly generous will find an encouraging challenge to give that emphasizes rationale rather than playing upon guilt. I didn’t expect to say this when I started the book, but I’d recommend it. I received this book for free from WaterBrook Multnomah Publishing Group for this review. And honestly, they’ve been sending me some great books.